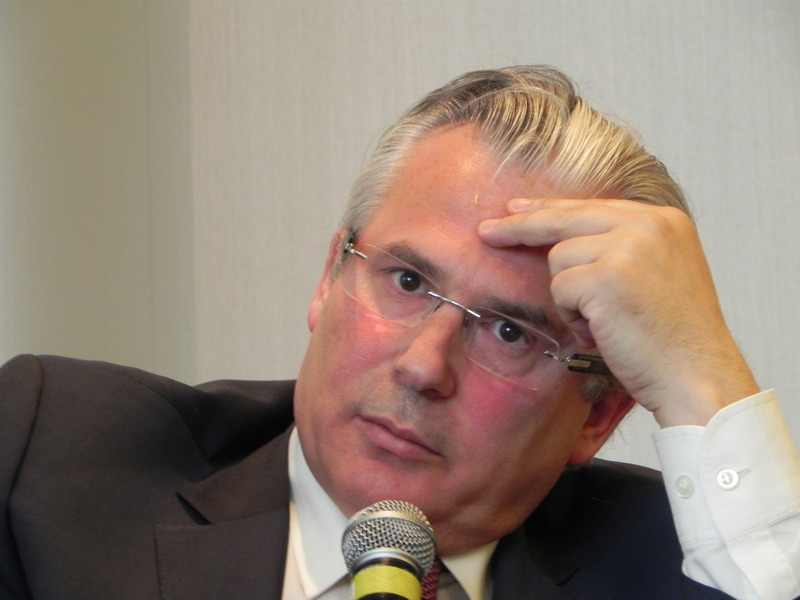 Judge Baltasar Garzón at the 2011 ALBA event in New York. Photo Nancy Tsou. The doctrine of Universal Jurisdiction allows tribunals from any State to prosecute heinous crimes that are an affront to all humanity. It is our most important weapon in the battle against the great criminals of history. Yet the United States is dragging its feet. One of the basic principles that lies at the heart of Universal Jurisdiction is the tireless struggle against impunity. In the midst of so many atrocities, suffering, and aberrations in the history of humanity, there are also a number of experts and proponents of the doctrine of Universal Jurisdiction that today comprise a significant group of activists determined to win the battle against the great criminals of history. For this reason great minds such as Hugo Grocio, Francisco de Vitoria, Diego de Covarrubias or Suárez planted the seed of a principle that with our activism we can extend, apply, and surround with respect. Universal Jurisdiction allows tribunals from any State to prosecute those crimes that due to their particularly destructive nature are an affront to all humanity. Such crimes have managed to avoid the traditional requirement of demonstrating a direct connection between the criminal act and the jurisdiction of the State that wishes to bring them to trial. In fact, they are limited to a slate of international crimes such as genocide, crimes against humanity, war crimes, torture, forced disappearances, or piracy, among others. In the last two decades, the practical evolution of this principle has given hope and faith to those who previously thought they had to resign themselves to the great injustices of history. We could cite the cases of the Chilean Pinochet, the Argentinian Scilingo, or the legal proceedings against Hissène Habré in Senegal. But it doesn’t end there, and despite the obstacles some judges encounter in their application (like the recent diminishment of Universal Jurisdiction in Spain), this instrument continues to live and develop. The Princeton Principles of Universal Jurisdiction were first published in 2001. Experts from around the world came together to take a monumental step toward the first codification of the guiding elements that articulate that instrument of justice. This past May, the First International Congress on Universal Jurisdiction signaled the beginning of discussion and elaboration of a new compilation to represent the current state of Universal Jurisdiction and the path to follow envisioned by many experts. It is the embryo of the Madrid Principles of Universal Jurisdiction, an innovative document intended to support all those who want to apply, develop, and spread Universal Jurisdiction. The Madrid Principles strive to take a step forward in judiciary cooperation, in assistance between States throughout investigations and in the foundation of the very principle of Universal Jurisdiction, while expanding the catalogue of crimes that merit universal prosecution. This last goal opens the door for the prosecution of crimes of an economic character and crimes against nature which, when committed systematically, constitute an assault on human rights for a large number of victims. All this proves the interest and commitment of many people and institutions to stand up against impunity and injustice. Universal Jurisdiction is a necessary and legitimate mechanism to close the loopholes of impunity that the international community has not been able to resolve until now. 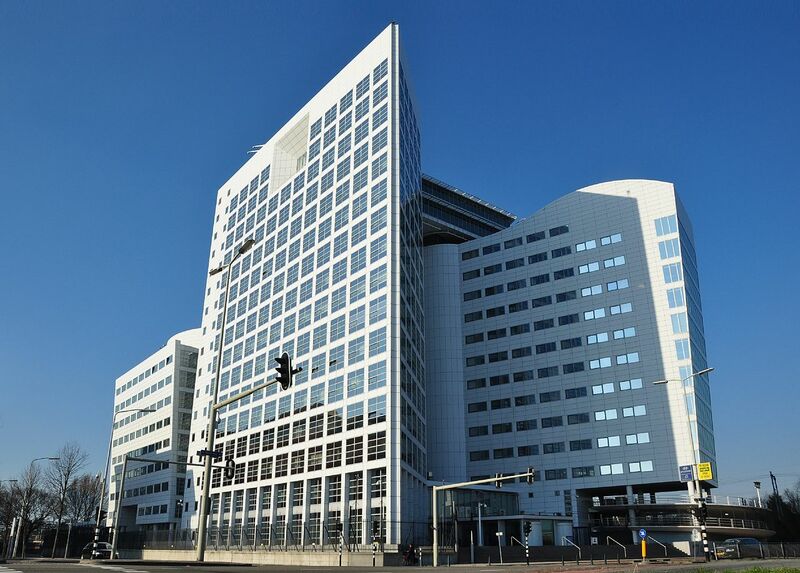 In this regard, it is important to underline the limited efficacy of the International Criminal Court (ICC), given the chronological, geographic, political, and material limits that have been imposed on it. While the creation of this Court was a victory, it is necessary to remember that its hands are still tied by a number of obstacles: it cannot prosecute crimes committed before the date it was established, its work can be subsumed by a reversal of the UN Security Council, and several of the most powerful States have refused to ratify the Statute of Rome—the 1998 treaty that established the ICC. The United States is one of the countries that have refused to ratify the Statute of Rome. It is difficult to understand why a country that raises the flag of lofty principles and ideas would nonetheless refuse to take the crucial step that would help in the universalization of the International Criminal Court. The leading role of the United States on the international scene is undeniable. This leading role places the US and its representatives in armed conflicts, the pursuit of major terrorists, or the orchestration of enormous economic interests. In all such cases it is relatively easy to cross the line of what is acceptable for humanity. The exposure of the United States to these scenarios, however, cannot be an excuse to cloak itself in absolute immunity that allows it to operate freely with no need to be accountable to anyone. 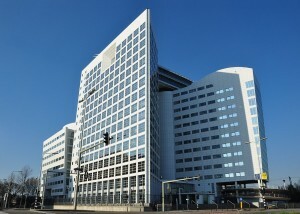 Therefore, it is absolutely necessary for the United States to make a commitment to respect international norms and submit to the examination and audit findings of the International Criminal Court, as well as ceasing to throw obstacles in the path of the application of the principle of Universal Jurisdiction of other States. The United States is a fundamental player in this battle, but the battle is the responsibility of all nations. The fight against impunity on all levels is a call to action to which we must respond in all realms: the prosecution of crimes committed by States in their local judiciaries, support of the work of the International Criminal Court, and the application of Universal Jurisdiction. To be sure, there are many pitfalls along the way, but the same energy and commitment that created these instruments will ultimately also allow their perfection and total efficacy. Baltasar Garzón is an acclaimed Spanish lawyer and former judge who built his career on doggedly pursuing accountability for human rights crimes, including indicting Chilean dictator Augusto Pinochet. In 2010 he was suspended from the Audiencia Nacional, Spain’s central criminal court, in large part for making the case that Franco’s repression during and after the Spanish Civil War—which resulted in over 100,000 victims buried in unmarked mass graves—should be viewed as a crime against humanity. In 2011 he received the first annual Puffin-ALBA Human Rights Award. Translated by Anthony L. Geist, member of ALBA’s board of governors.